Moreover, as a consequence Samsung is facing a ban over its products in many countries because of this legal fight with Apple. Apple is now demanding that the Samsung electronics should give $380 million; as they copied certain Ipad and Iphone features. Samsung has responded it by saying that it only owes Apple an amount worth $52 million. Apple lost its sales because Samsung is selling infringing products at the same time. 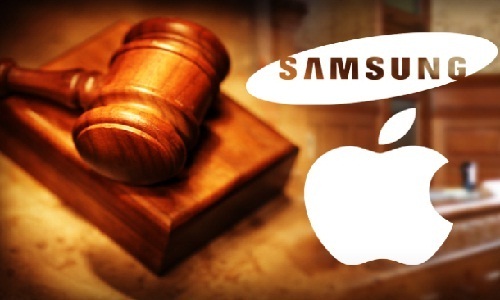 Moreover, the court was told that due to this Apple lost profits and Samsung gained profits on the offending devices; where Apple holds royalties for that so Samsung has to pay $380 million. Samsung responded to this by stating that people go for Samsung products because of a lot differences and not just the similarities; so Apple is simply asking for much more money. Both these giants are fighting it out for quite some time now. Both are launching new products and want to capture the market globally. Only time will tell that who will lead the market. People always prefer something new and innovative; rather that copied. Professional writer, seasoned blogger and a bizarre Engineer. Creative and experimental in approach. Loves everything that is inimmitable and mysterious :) Explorer and passionate about his dreams.